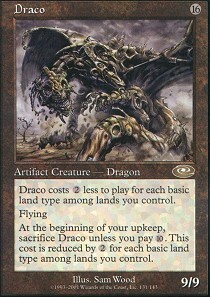 Card Text: Draco costs 2 less to play for each basic land type among lands you control. 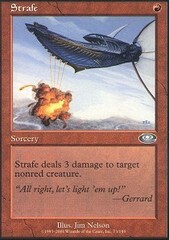 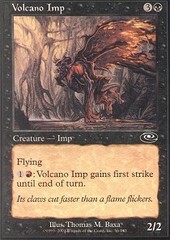 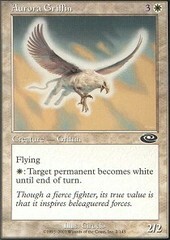 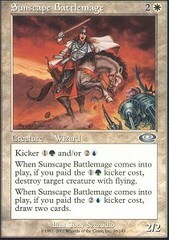 Flying At the beginning of your upkeep, sacrifice Draco unless you pay 10. 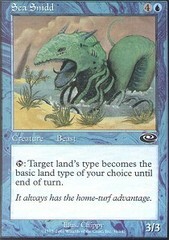 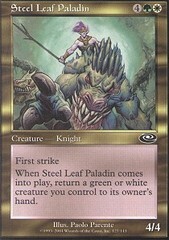 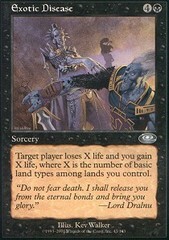 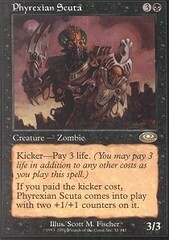 This cost is reduced by 2 for each basic land type among lands you control.